Hey my beautiful ladies! 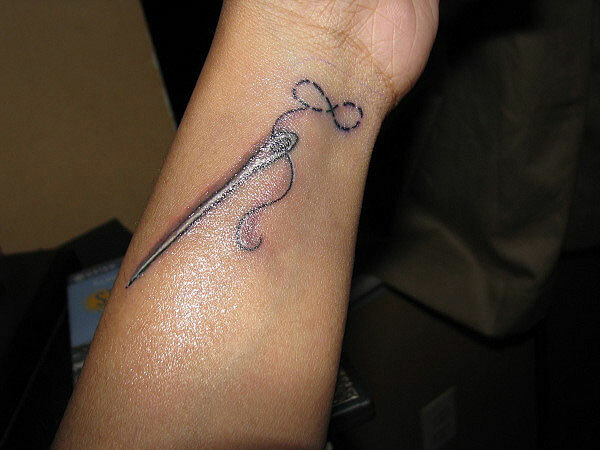 For anyone who has ever wanted a tattoo, you know that picking out the design is a difficult task. 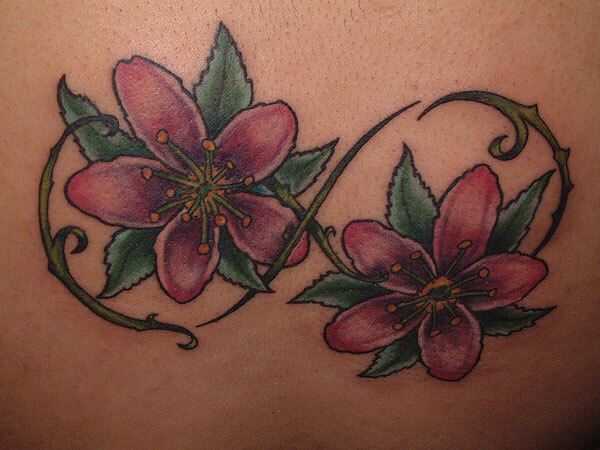 Should you go with what’s trendy, like arrow motif inks, or a more lasting image, such as some stellar stars? 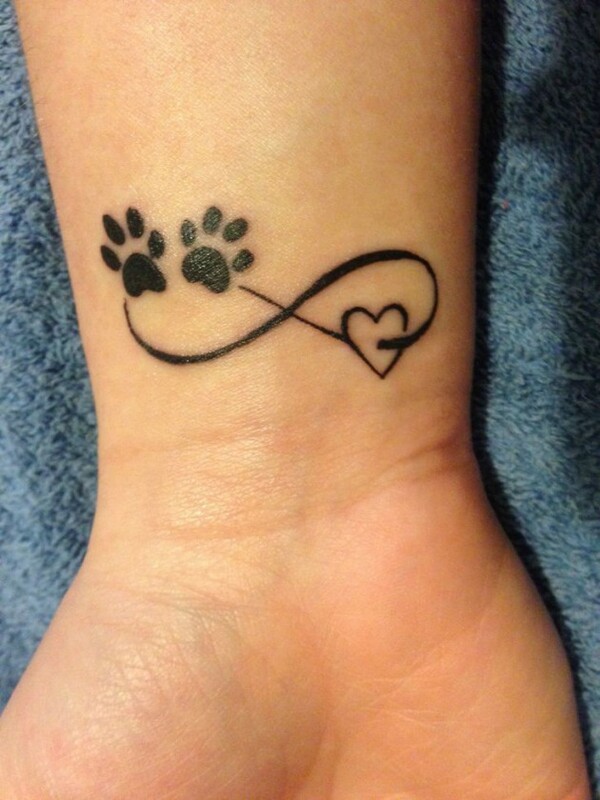 In this post, you will enjoy a photo collection of tattoo ideas from mathematics – infinity symbol. 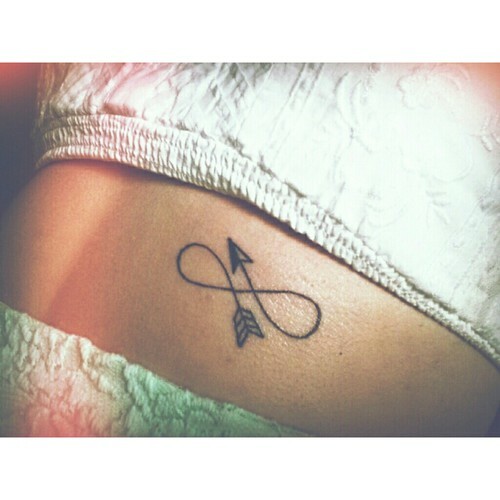 Infinity tattoos are inspired by the Greek alphabet letter omega (the end) to express a potential infinity. 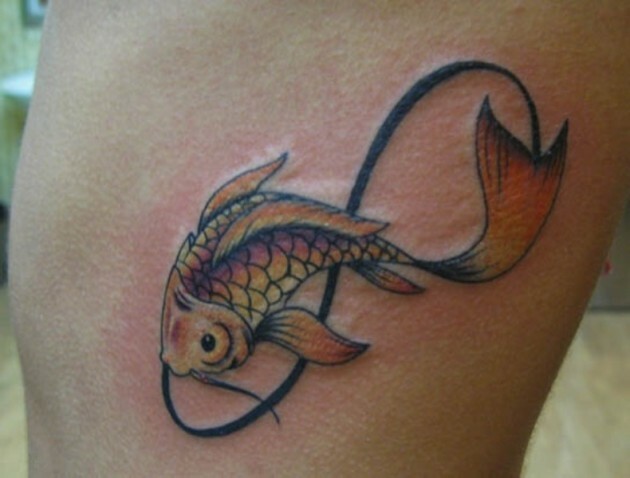 Potential because we cannot really prove infinity, as well as eternity. 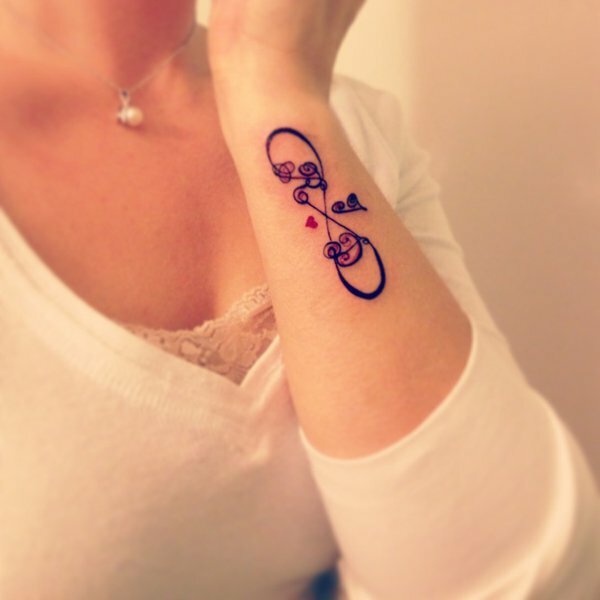 In esotericism, the infinity symbol is really close to the Ouroboros, a snake eating his own tail and forming a circle. 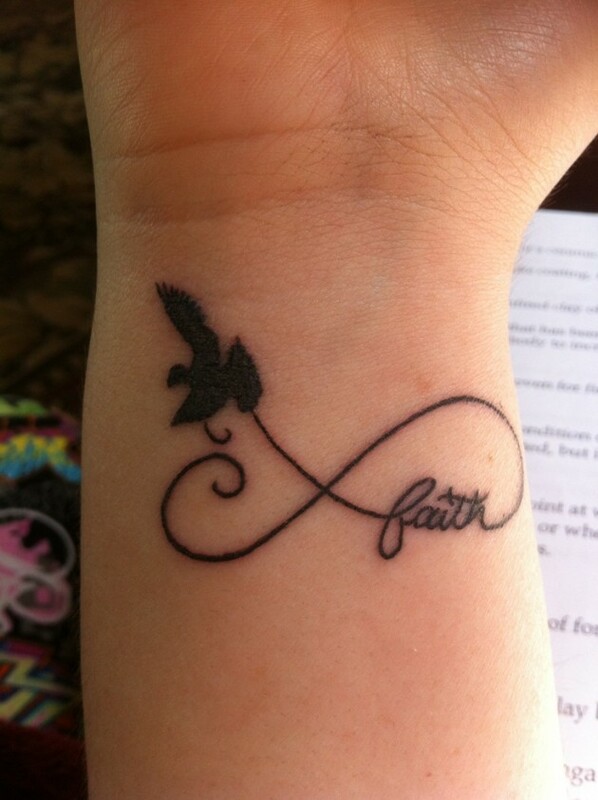 It means that the world is an eternal renewal, and that everything is connected in the universe. 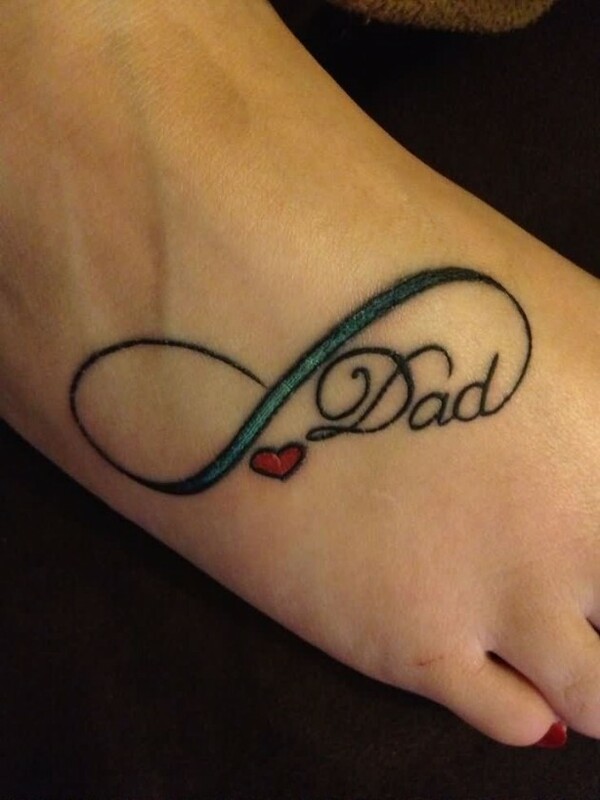 Infinity tattoos are very popular because of its unique design. 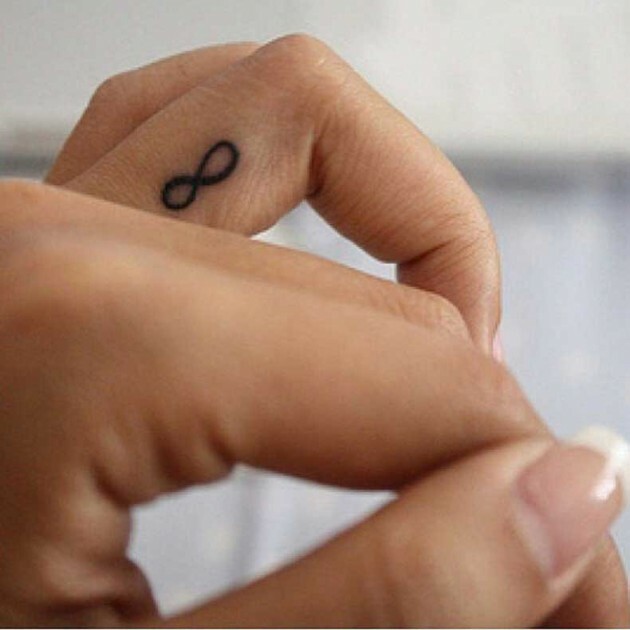 Infinity tattoos can be inked with some other tattoos likes heart, love, hope, family, boyfriend, faith, feather, birds, names, dates and many more. 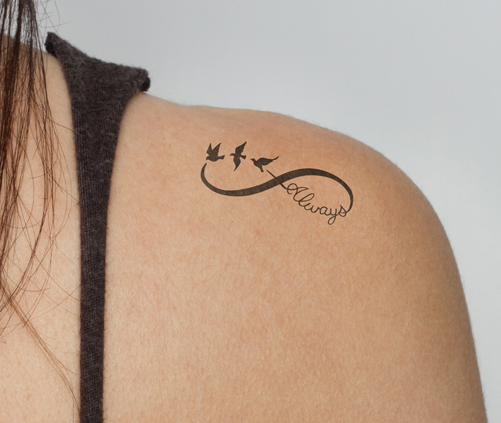 They can be of any size small, medium, large and can be inked any part of the body like wrist, back of neck, behind ear, foot, lips etc. 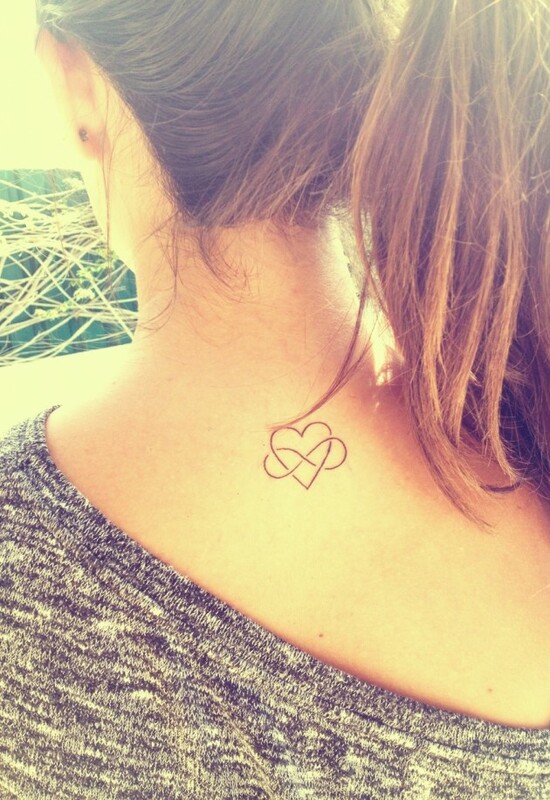 An infinity tattoo design that has really increased in popularity is the double infinity tattoo design as worn by the main character Emily Thorne (Amanda Clarke) in the ABC show Revenge or Reven8e. 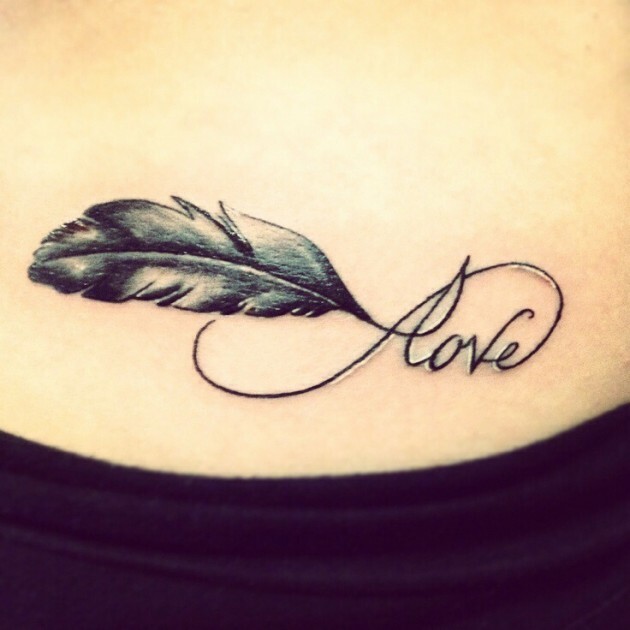 If you are a girl then infinity tattoo is best with feather or heart which will give you awesome look. 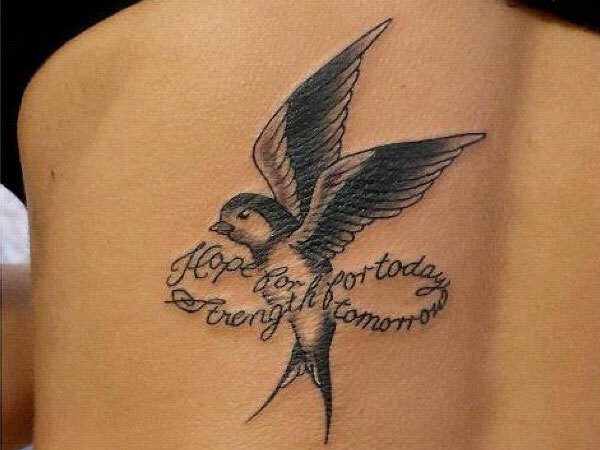 If you are a guy or looking for a tattoo design to show your love for your family or your girlfriend then you can either get quotes like “FOREVER AND ALWAYS”, or “HEART – LOVE – HOPE” text with infinity symbol tattoo. 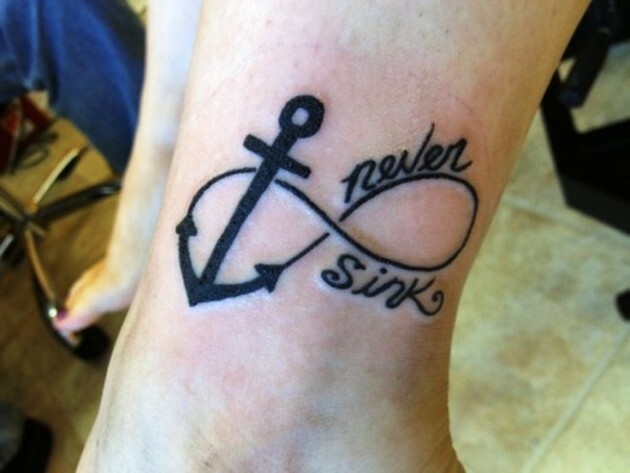 Infinity tattoo designs are especially popular among couples and you will often see hearts tattooed next to infinity tattoos or intertwined with them. 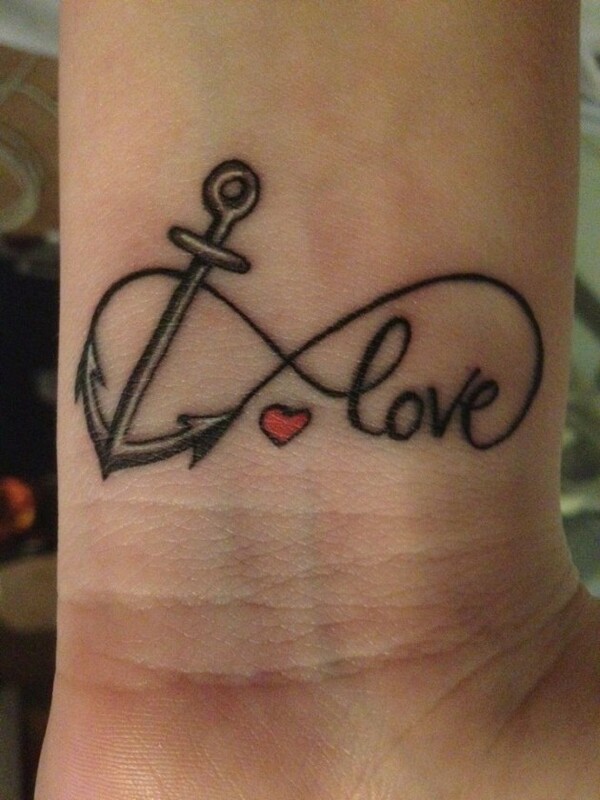 Couples that get this tattoo to symbolize their never ending, limitless love will usually get this tattoo in the same part of their bodies to further add meaning to this embellishment. 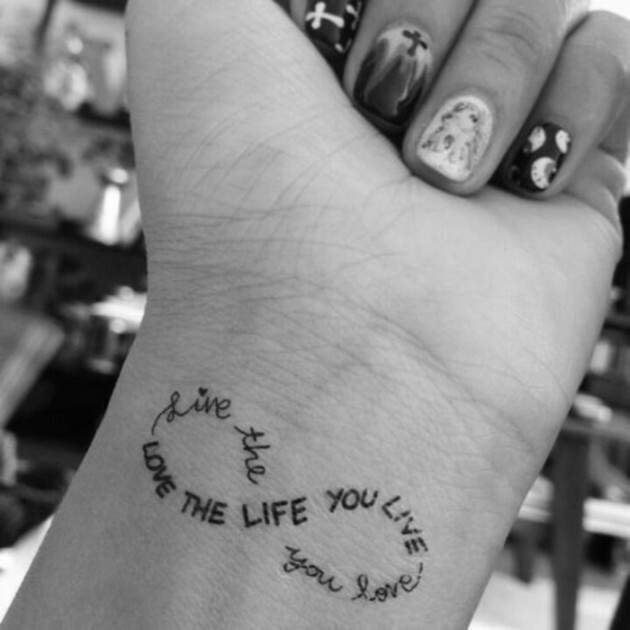 So, whether you are a couple wanting to show your love or you are a deep thinker or dreamer, the infinity tattoo design is an option that should be looked into. Motivational Quotes: Make Your Dreams Work!